2017 Grammys: Who Will Win Best Latin Rock, Urban or Alternative Album? 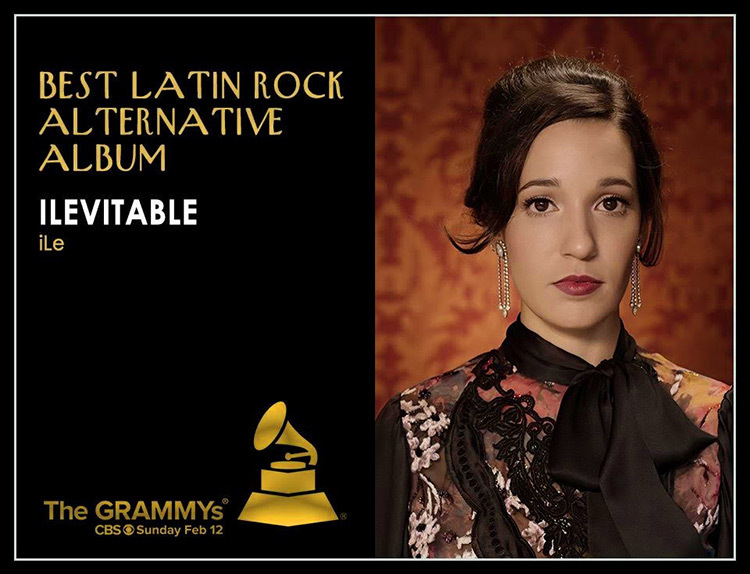 One word sums up this year’s GRAMMY category of Best Latin Rock, Urban or Alternative Album: mezcolanza, or mishmash. This catch-all of genres makes it almost impossible to judge fairly, yet it celebrates the rich breadth of contemporary pan-Latin artistry. From Argentina to Mexico, Puerto Rico, Panama and Los Angeles, this year’s nominees ‘represent,’ with an eclectic sampling from rock, alternative, funk, hip-hop, dancehall to electrónica stylings interpreted through these artists. Plus, it includes the infectious sounds and rhythms of the Caribbean and Mexico. The history of this category is as bewildering as the title itself. It began in 1998 as Best Latin Rock/Alternative, added “Urban” in 2009, was entirely scrapped in 2012, and then revived again in 2013 with its current title. Thankfully, the Latin GRAMMYs that launched in 2000 gives awards to each individual genre. So who will win the mainstream GRAMMY Award for Best Latin Rock, Urban, or Alternative Album? You may not know that the winners are determined by peer vote on artistic and technical merit, rather than record sales or chart rankings – which means it could be a complete surprise. Every track on Ile Cabra’s debut album iLevitable shines as brilliantly as she sings. Ile steps into the spotlight creating a new persona after performing through her teen years and beyond as “PG-13” in her brothers’ wildly popular hip-hop band, Calle 13, one of the biggest acts in Latin music. A native of Puerto Rico, Ile interprets with a versatile and soulful voice, giving a nod to her roots by crooning classic boleros and belting out boogaloos that are interwoven among roots rock and alternative styles and even an enchanting Mexican waltz. The musicianship behind iLevitable is superb; a grand collaboration with some of Puerto Rico’s finest musicians, including the legendary, late Cheo Feliciano. It is a masterful array of music from simple arrangements to full blown, authentic big-band sounds. To top all that virtuosity off, iLevitable embodies familia. Ile wrote many of the songs; her brothers, sister and father lent their talents, and even her grandmother penned a couple of songs. The album’s sole and aptly named English song, “Out of Place,” by Ile and her father, hints to the potential of a big, crossover future. iLevitable is both a strong contender for the GRAMMY, and a good primer for an even more amazing next record.